This is a class aimed at preparing young children for Preschool. 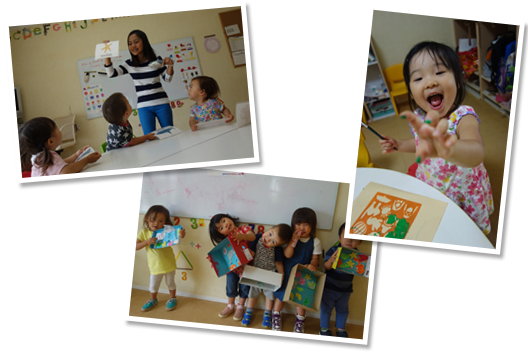 It focuses on familiarization with everyday English communication and also helps toddlers grow accustomed to being away from their family without crying. The classes are limited in size, naturally allowing for a lot of individual attention. During this formative period for self-awareness, we help them forge precious bonds and their first sense of social courtesy. We aim to teach children how to become open and receptive to the world around them, so that they may gain an enthusiasm for learning that will guide them for years to come.